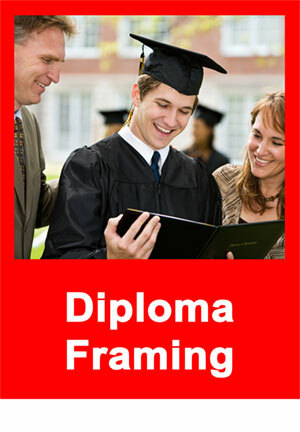 Tamis Fastframe - Eagan, MN Picture Frame Shop and Custom Framing Service. That diploma took a lot of effort. Now showcase it in the frame it deserves! 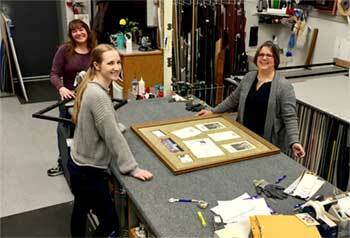 Welcome to Frame Minnesota of Eagan – your local framing experts for over 20 years! FastFrame of Eagan is locally owned and operated, with a passion for framing and preserving great art, memories, and achievements. We take pride in the works we provided, and are truly dedicated to giving you personal attention and expert service for all of your custom framing needs. 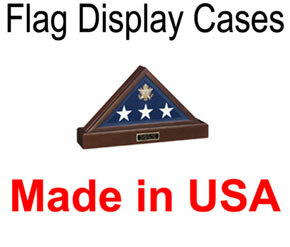 Watch this video and tour our store! At Frame Minnesota we give you the best of both worlds. You’ll get the experience, advice, and personal touch that only comes with 20+ years in business. Plus, thanks to our nationwide network, you’ll get the best quality frames and materials at the best prices! Competitive prices on the “good stuff” everyday! 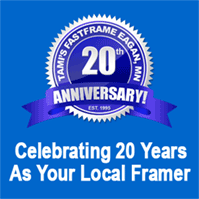 We are Fastframe of Eagan - your local framing experts for over 20 years!